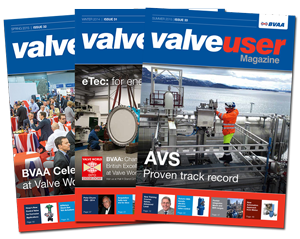 Conventional diaphragm type pilot operated globe valves often used for pressure control, force the media to keep changing direction while passing through the valve, contributing to pressure losses and limiting the maximum achievable flow rate. This convoluted path from the inlet, up to the diaphragm, over the valve seat, down and round the corner to reach the outlet is seen in valves all over the world and while common, isn�t always the best solution. These valves usually exhibit an external pilot regulator with exposed copper or stainless impulse lines to form the control circuit of the valve. Being exposed, these lines and pilot components take up valuable space, add complication and reduce potential reliability through increased risk of damage. In an axial valve, the flow follows a radial annulus around the axial seat and spring case, passing straight through the valve with very little deviation, maximising velocity and reducing pressure loss. Compared to a globe valve, the straight through flow path results in reduced downstream turbulence, a higher flow for a given line size and increased reliability as there is no diaphragm to tear or rupture. Installation is simplified through the reduced envelope dimensions and weight to enable fitting in tighter spaces with less emphasis on pipe and valve support methods. The Z-Tide range of axial control valves offer pressure reducing, pressure sustaining, pressure relief, level control and solenoid operation from a single main valve design by means of subbase mounted pilot regulators. This removes the complicated external pipework often seen on diaphragm type valves, reducing the volume needed for installation and simplifying maintenance. 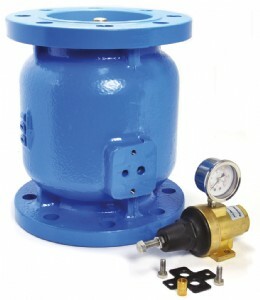 Changing the operation of a valve from pressure reducing to pressure sustaining for example, is a simple matter of removing the pilot regulator and exchanging it for a sustaining regulator. 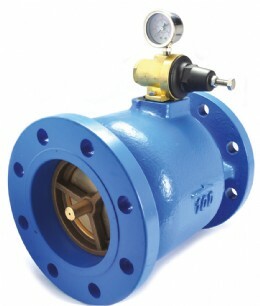 The main valve doesn�t change and there is no external piping to alter. These valves are available in cast iron, ductile iron, bronze and stainless steel construction with flanges PN16 or ANSI 150 from 2˝ to 12˝ as standard and larger on request. Special variants include a UL listed pressure reducing valve rated to 300psi in sizes from 3 to 8˝ for fire suppression systems and WRAS certified pressure reducing valves in stainless steel from DN 50 to DN150 PN16 for potable water duty. These axial valves are complemented by WRAS approved direct operated pressure reducing valves, again in stainless steel, from �˝ to 2˝BSP and DN15 to DN150 PN16.